Put on your cowboy hat and saddle up for a culinary journey to the Wild West. With these 8 Easy Appetizer Recipes from the Wild West, you'll be able to make cowboy-pleasing party appetizers certain to win over any crowd. From cheesy muffin tin recipes to spreads and salad and so much more, there's something for everyone in this cowboy recipe collection. Giddy up and let's get cookin'! Start your meal off right with a delicious, finger-lickin' good appetizer recipe. In this collection we've selected some of our favorite Western recipes inspired by that all-American icon, the cowboy. From cheesy creations to hearty chilis and stews, the soul-satisfying easy appetizer recipes in the list below are all sure to get things off on the right foot. Serve up one of these cowboy recipes at your next get-together with friends or choose one to begin your family weeknight dinner with. These hearty and filling dishes are all winners in our book! Muffin Tin Cowboy Bites (shown at top of page) - Easy to pass around at parties, these muffin tin bites are a great party appetizer recipe. 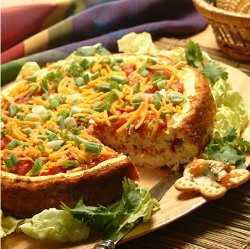 Arkansas Caviar (shown at top of page) - Loaded with a cowboy's favorite Southwestern flavors, this "caviar" dish is a cinch to throw together, even at the last minute! Baked Chile Cheese Spread (shown above) - This cowboy recipe collection would not be complete without a cheesy chile spread, and this one is our absolute favorite! Cowboy Black Bean Chili - Chili recipes are some of the most filling and hearty dishes you can make. 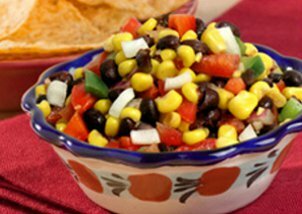 This black bean version is sure to satisfy even the hungriest of cowboys. 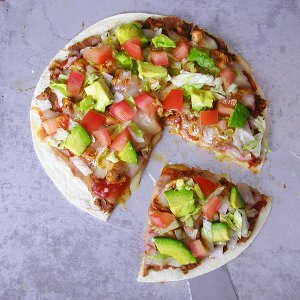 Cowboy Chicken Pizza (shown above) - Pizza recipes might not be the first thing that come to mind when you think about cowboy cuisine, but this version is just the sort of pizza a cowboy would love to eat. With taco sauce, refried beans, cheese, tortillas and more, you can see why this is one of those Western recipes cowboys can't help but covet. 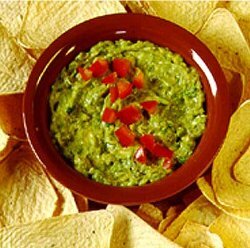 Green Chile Guacamole (shown above) - Guacamole is one of those quintessential Western recipes that no cowboy meal would be complete without. We love this version that's a little bit spicy and a whole lot of tasty. Add this to your list of easy appetizer recipes for parties and potlucks; it's a definite crowd pleaser! 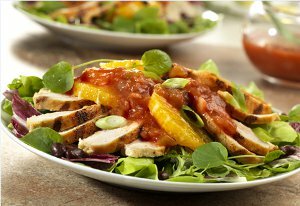 Southwestern Grilled Chicken Salad (shown above) - For cowboys who want to eat on the healthier side, this grilled chicken salad recipe is just perfect. It's substantial enough to count as a whole meal but also works great as an easy appetizer recipe. Loaded with delicious ingredients, cowboys can't help but fall in love with this sensational salad. Montana Cowboy Stew - Montana is cowboy country and they know how to eat right out there. This simple stew recipe, loaded with bits of beef, potatoes, green beans and smoked sausage, may be one of the meatiest stews of all. 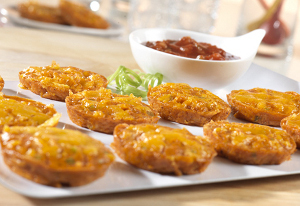 Easy appetizer recipes don't come much more chock full of flavor than this! All of these easy appetizer recipes from the Wild West are featured in our cowboy recipe collection, available for free download. Click here to get your free copy of the Classic Cowboy Recipes: 27 Authentic Western Recipes eCookbook.